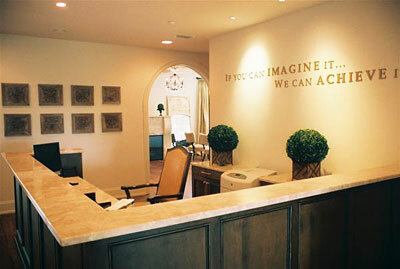 This is the lobby of a real estate office in Destin, Florida. 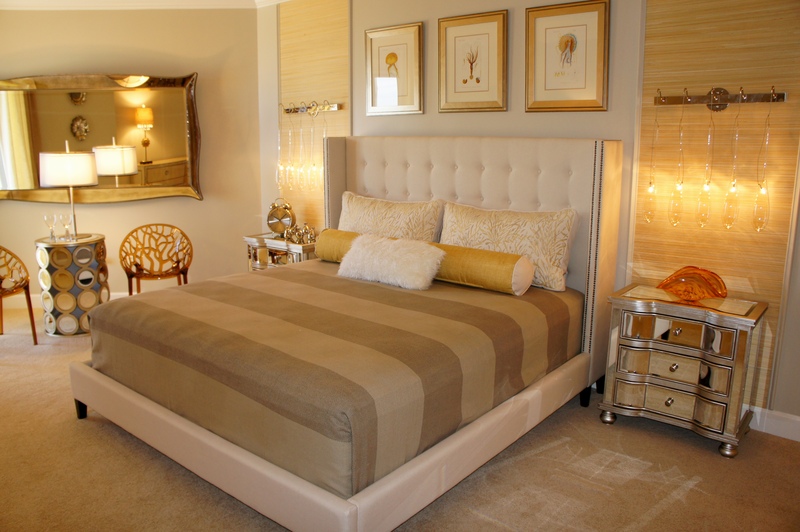 The style is a mixture of contemporary and traditional, with an Italian flair. The dupioni silk drapes puddle to soften the hard surfaces, and create a most-welcoming atmosphere for a lobby. 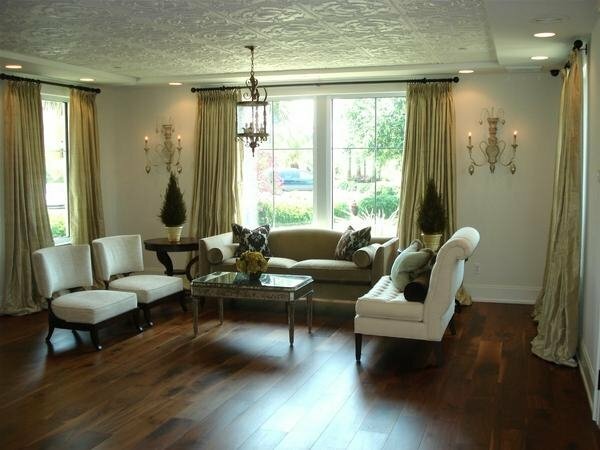 The sofa and chairs are by Baker Furniture, and the settee is Lillian August by Drexel Heritage. 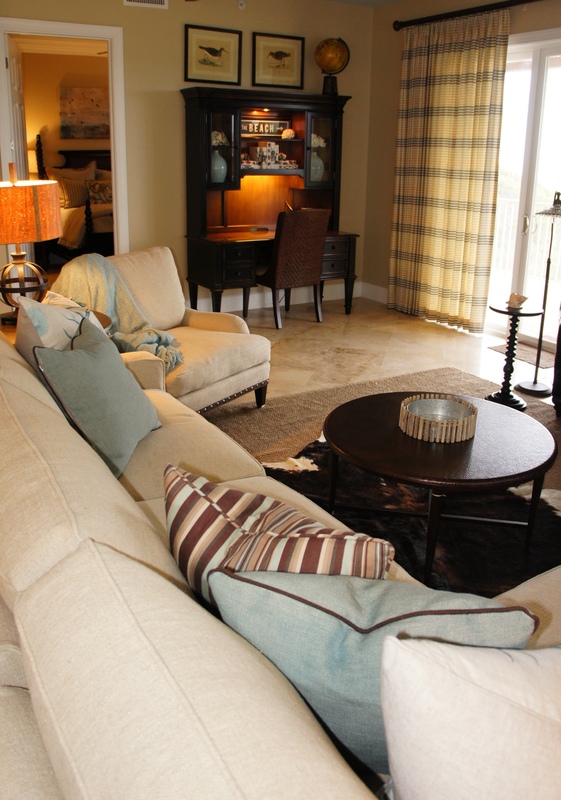 The accent pillow fabric on the sofa is a brown and blue-green chenille damask by Kravet. 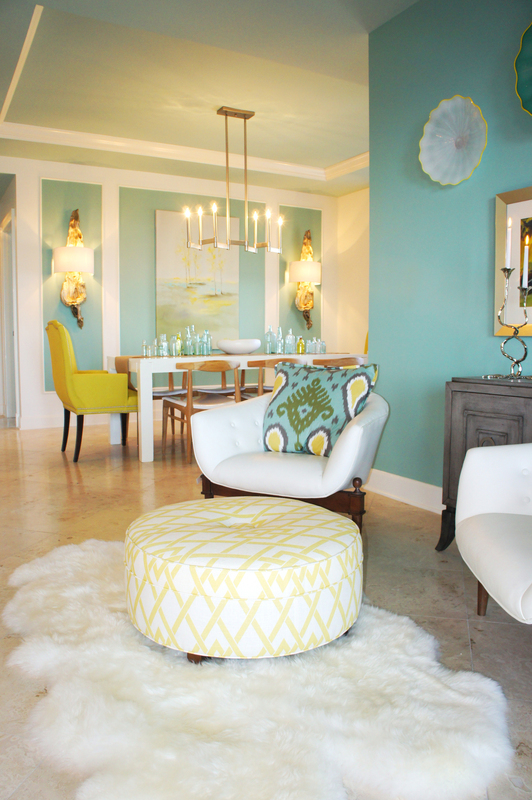 The topiaries and light fixtures give a touch of European elegance, while the sconces and antique mirrored cocktail table serve as the jewelry for the room. 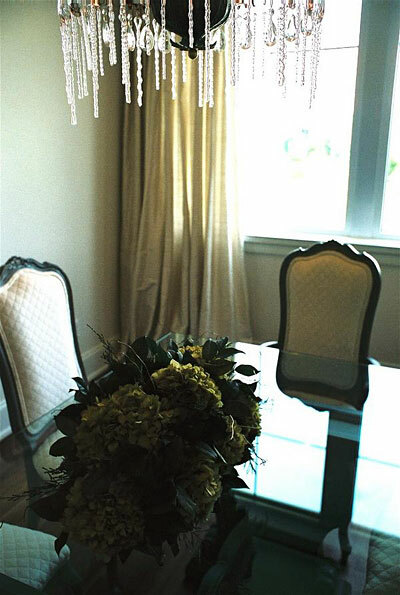 The formal conference room is warm and inviting, with its cream velvet chairs and dried floral centerpiece. The distressed mahogany conference table has a scrolled metal base, and is from Henredon’s Acquisitions line. The second floor receptionist’s desk is a mixture of cream marble countertops, contrasted with dark walnut cabinets. The executive office has a large stone fireplace as a centerpiece, flanked by two custom-built floor mirrors. 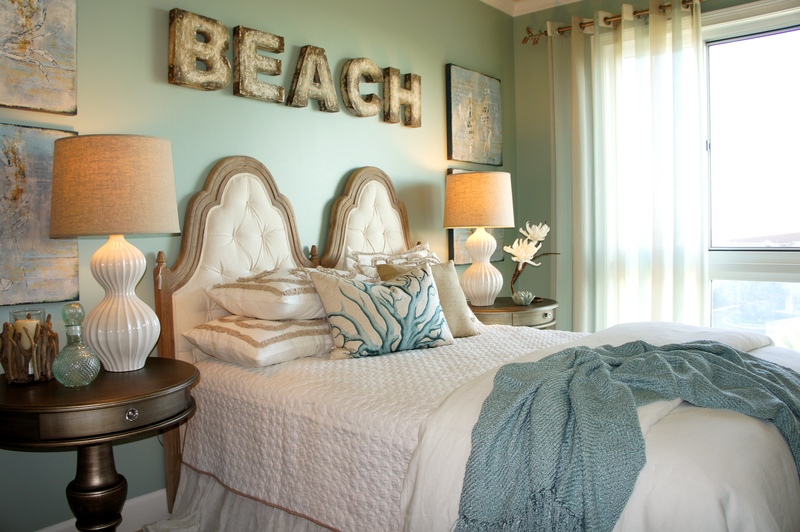 Again, the color palette is a plush mixture of creams, golds, and greens. 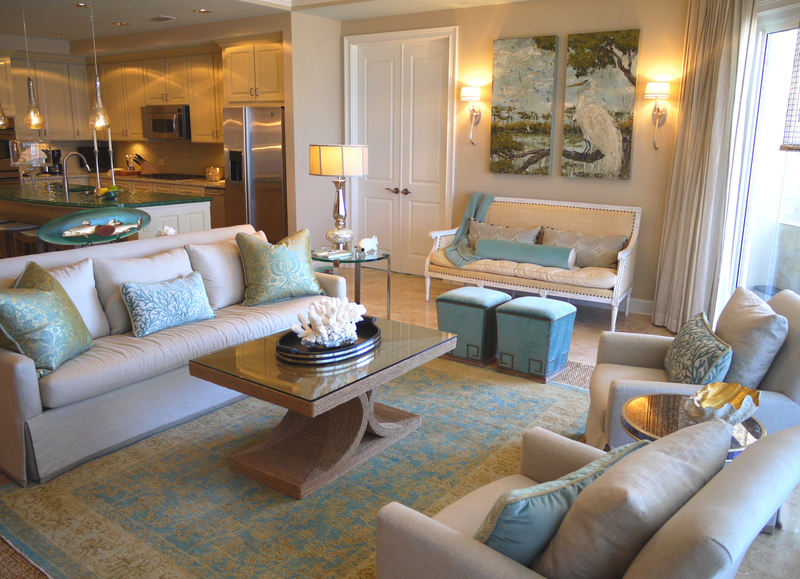 The settee is by Henredon, with chenille green and gold damask throw pillows out of a Kravet fabric. 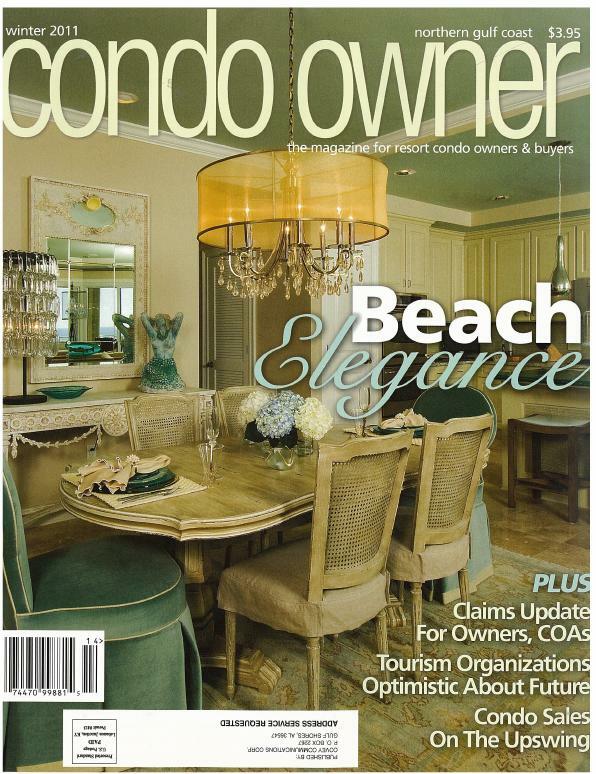 The guest chairs are Kravet chairs covered in a rich gold woven chenille. The drapes are gold dupioni silk, puddled and hung from an iron rod and rings. The Old Biscayne executive desk is a dark antique distressed walnut finish, and has tapered French legs. 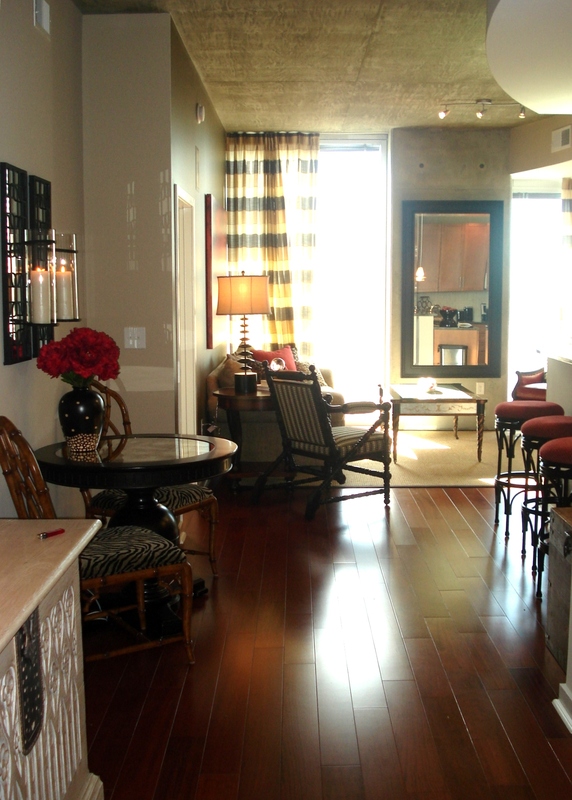 The dark richness of the desk provides a grounded point of emphasis in the room full of light creams and golds. The executive chair is a Century Furniture leather rolling chair with antique gold nailhead trim. The office has a nice view of a golf course. The mini-conference room is furnished with antique chairs and table pedestal. 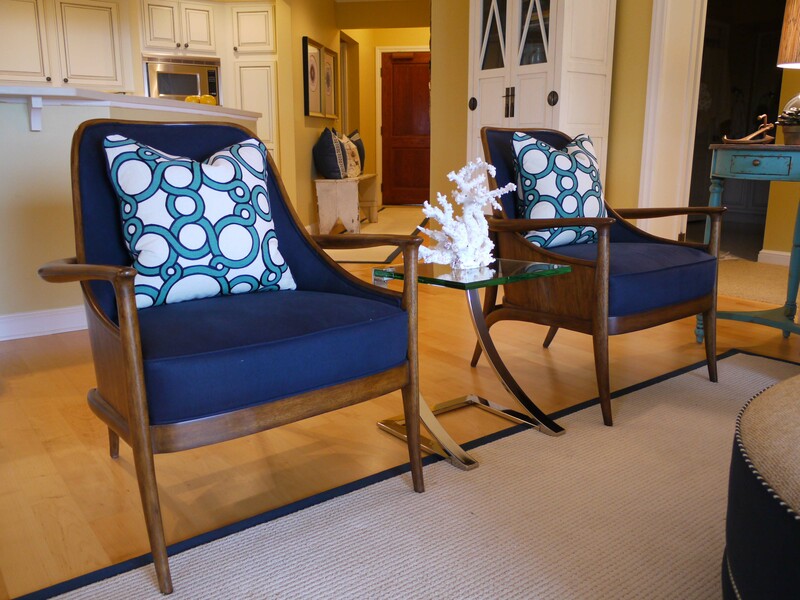 The chairs were recently recovered in a cream chenille matelasse fabric. 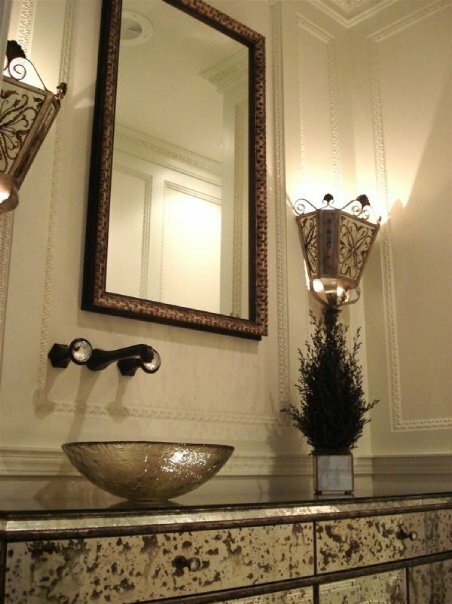 Both bathrooms have vanity sinks made from antique mirrored sideboards. 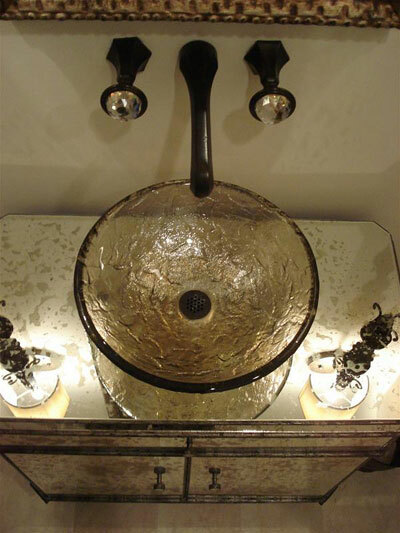 The crystal knobs help to accent the antique mirror cabinet and glass vessel bowl. Below is an example of one of the secondary offices. 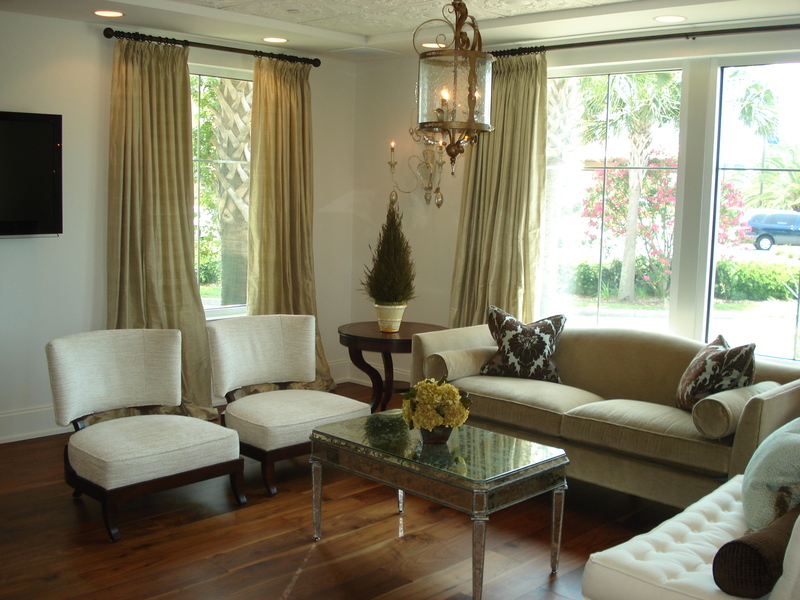 I designed these relaxed roman shades to be informal, but refined and sophisticated. These are the wrought iron door pulls I designed for the mahogany doors leading into the executive office. A local fabricator made these directly from my drawings. Great stuff I’ve been coming to your site for a while now but this is the first time I decided to leave you a comment I will post this on my twitter for others to read what is your rss feed so I can add it to my google reader?